Throughout winter, respiratory viruses such as bronchiolitis are especially common in kids. Often, the virus, which starts out with symptoms similar to a cold, will run its course. But sometimes it requires extra attention, and knowing when to seek treatment is important. WASHINGTON — Coughing, sniffling, sneezing: The sounds of winter are in the air. And while a sore throat and runny nose are almost expected this time of year, it can be tricky to know when a box of tissues and some vitamin C are not going to cut it — especially for children. 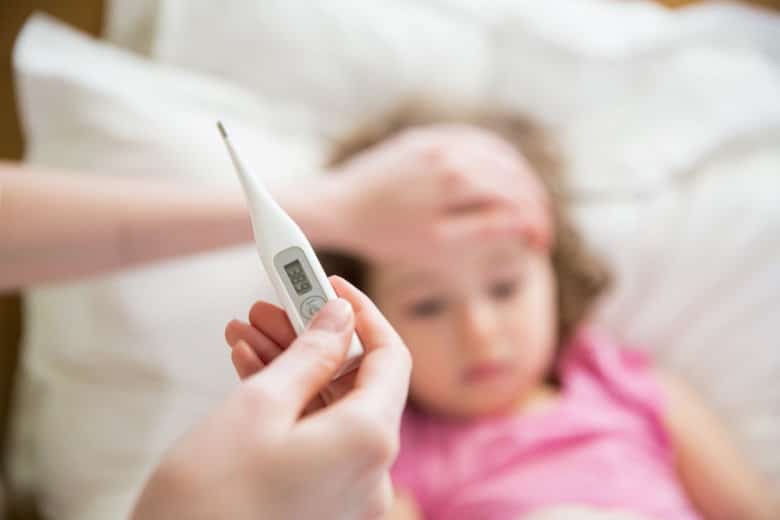 Dr. Christina Johns, senior medical adviser for PM Pediatrics, said throughout winter, respiratory viruses such as bronchiolitis are especially common in kids. Often, the virus, which starts out with symptoms similar to a cold, will run its course. But sometimes it requires extra attention, and knowing when to seek treatment is important. When a child has a respiratory illness, Johns said to look for signs of respiratory distress or increased work of breathing, such as flaring nostrils or a fast respiratory rate. “How fast is fast? In older kids, when they can’t get out a full sentence or phrase because they need to stop to take a breath, that’s one sign,” Johns said. Retractions — or “when the muscles in the chest in between the ribs are working extra hard to try to help the chest move air in and out, then it looks like there’s almost tugging of those muscles in between the ribs” — are another sign that a child is in respiratory distress. Children who display these symptoms may need oxygen support through the illness or IV fluids to help them maintain hydration, which is why it’s important for them to seek medical attention. In most cases, bronchiolitis is caused by a virus, and thus antibiotics are not prescribed. For bronchiolitis and other viruses that are not causing respiratory distress or problems with oxygenation, typical treatment is supportive care — helping the child stay rested and hydrated “until their body can do what it needs to do and work its way through the illness,” Johns said. However, if the patient does not get better, the cough gets worse or a fever persists, make an appointment with the doctor. Preventing bronchiolitis and other common wintertime viruses can be tricky, Johns said, “because they’re everywhere.” The best line of defense is soap and water. “And make sure that you wash [your hands] correctly,” Johns said. Johns also recommends wiping down toys, counters and other surfaces that sick kids (and adults) frequently touch, and keeping kids home from school when they don’t feel well. “They will rest and get better faster and they won’t spread the virus to other classmates,” she said. Another tip is to keep your fingers away from your face, especially after you shake hands, open a door or touch a cellphone. “It’s one really easy way that we can infect ourselves when we take our hands to our face or our nose or rub our eyes. That is a very easy way for germs to get in our system,” Johns said.